Uttermost's Armchairs Combine Premium Quality Materials With Unique High-style Design. Styled With An Exotic High Back And Curved Rear Legs, This Chair Features Plush Stripes With Deep Rich Brown Cording And Side Trim, Double Row Nail Head Detail And Ebony Stained Wood. Hardwood Construction With Removable Seat Cushion. Light Assembly. Seat Height Is 18.5". 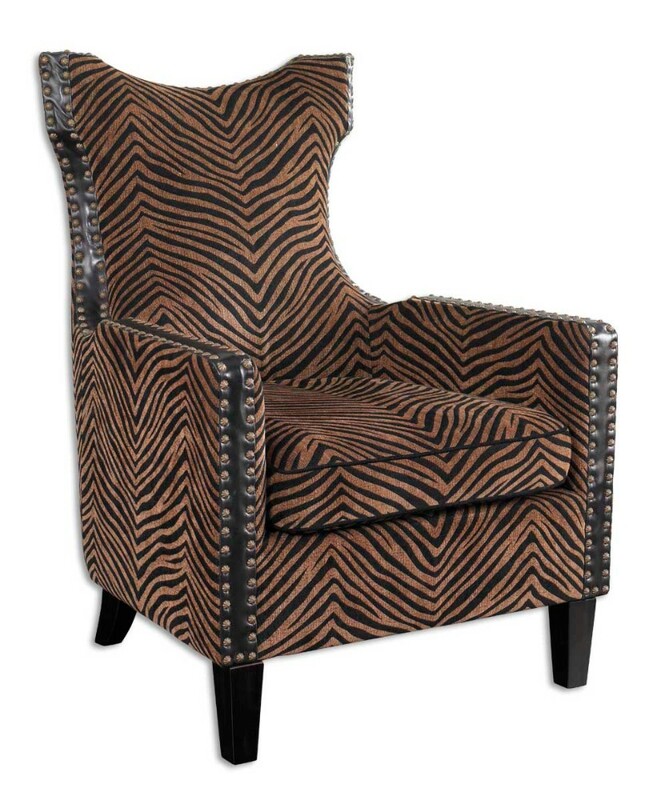 Plush Golden Brown And Black Stripes With Black Cording And Side Trim, Nail Head Detail And Ebony Wooden Legs.